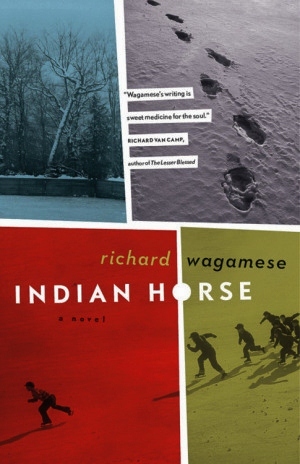 Indian Horse by Richard Wagamese ~ 2012. This edition: Douglas & McIntyre, 2012. Softcover. ISBN: 978-1-55365-402-5. 221 pages. Saul Indian Horse, a young Ojibway man in his thirties, has hit rock bottom and is crawling back up. He’s in a detox program after spending six weeks in hospital after collapsing in alcohol-induced tremors on a Winnipeg street. Part of the rehabilitation is bringing out old memories to get to the root of the issues behind the addictions, so Saul is writing down the story of his life. Going back, waaaaay back, Saul starts with the anecdote about his great-grandfather which led to the family name. The Ojibway were not people of the horse. Our land existed as an untamed thing, lakes, rivers, bogs and marshes surrounded by citadels of bush and rock and the labyrinthine weave of country. We had no need of maps to understand it. We were people of the manitous. The beings that shared our time and place were lynx, wolf, wolverine, bear, crane, eagle, sturgeon, deer, moose. The horse was a spirit dog meant to run in open places. There was no word for it in the old talk when my great-grandfather brought one back from Manitoba. The traditional life of Saul’s immediate ancestors is changing, and the horse becomes a treasured and useful part of the tribal economy, pulling trees out of the bush to be floated down the river to the mill where they could be sold for cash, a necessity in the evolving way of things. The negative side of progress is being felt as well. Children are being rounded up and forcibly taken away to mysterious locations where they are taught the ways of the Zhaunagush, the white people. The residential schools. Some – many – do not return. Those that find their way back are changed beyond comprehension of their parents and grandparents, and many, when they have children in their own turn, are emphatic in their fear of losing their own children to the schools. Saul’s parents were both residential school students, and the family is constantly on the lookout for the floatplanes and motorboats carrying the armed white men intent on collecting the native children. Despite their wariness, Saul’s sister Rachel is taken, and his brother Benjamin. Rachel never returns, but Benjamin runs away and finds his way home, though he is so sick from TB that he soon dies. The tragedy of finding and then losing their beloved son is too much for Saul’s parents. Against Grandmother’s pleas, they bundle up Benjamin’s body and set out by canoe to take him to the Catholic priest for “proper burial”. Saul will never see them again. Saul is only eight, and helpless to interfere. He and Grandmother are left behind, and as winter sets in and the parents do not return, are faced with a choice: stay in the bush and die during the winter, or travel out to the closest town, where there are relatives who will take them in. Saul already knows how to read and write in English, as his father had taught him from old schoolbooks, so that culture shock is minimized for him. But he desperately misses his family, and carries within him a core of grief that cannot be healed. Like most of the other children, Saul soon adapts to survival mode, learning how to avoid drawing attention to himself and cooperating in all demands made upon him. A young priest joins the school the same year Saul is brought there, and his enthusiasm for the game of hockey brings interest and opportunity to the group of boys showing interest and ability. Saul is fascinated by the game, though he is considered too young to play. He sweeps the ice in the mornings, and surreptitiously teaches himself to skate and stick-handle, using to0-big skates stuffed with newspaper and frozen horse turds for pucks. Of course, Saul is a natural. His progression is predictable, though fraught with emotional and physical challenges. Saul eventually gets too good for the Indian League, and is scouted, reaches Toronto, and plays for a top junior league team. Then it all blows up, as the stress of the constant racism – both brutally blatant and thinly veiled – he comes up against, and his deeply hidden bitterness about his tragic family and cultural losses finally push him over the edge. Richard Wagamese is an excellent writer, with an easy facility for words. 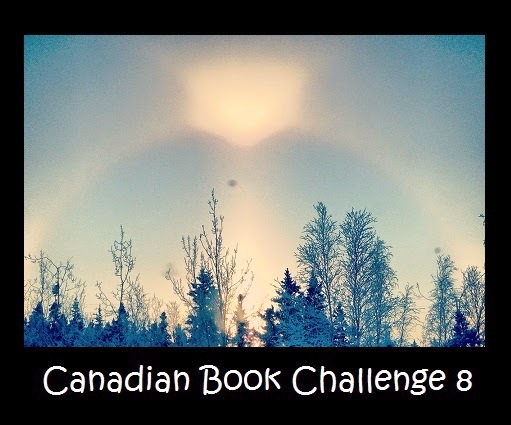 I blazed through Indian Horse in one evening, willingly abandoning myself to Saul’s story. I’m not at all a hockey fan, and the description of this novel as a “hockey story” put me off much more than the residential school angle. My reluctance was needless; the saga of Saul did not require any stretch to understand in any of its elements. 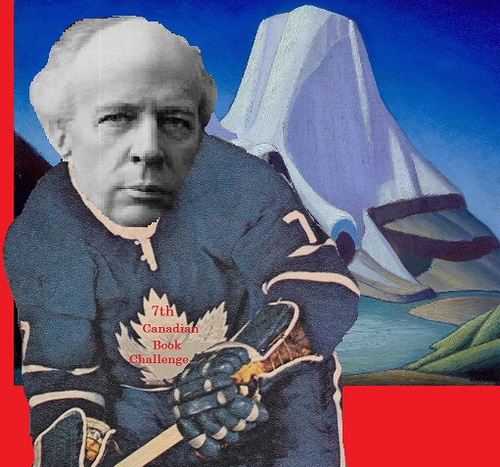 I wonder if both the details of the game of hockey and the horrors of the residential schools are so ingrained into our combined Canadian psyches that we now immediately “get” the references? And does this therefore cushion the impact of a book detailing the atrocities done to First Nations people to a mere cultural reference, even when the author is most obviously a member of that cruelly wronged racial group? For though I understood the points that the author was trying to wake us up on, I didn’t feel shocked. Nothing he brought up surprised me; the story of Saul is not unique, at least in the residential school survivor aspect. The hockey prodigy bit was where I had to stretch my “willing suspension of disbelief.” The kid was just a bit too awesome and magical through his whole short career. After a while his awesomeness, quite frankly, rather bored me. And then when he snaps, he beats up guys much bigger and stronger than he is, from sheer force of his rage. Yeah, okay. Fair enough. Next. I think it is wonderful to be included in the top five [of Canada Reads 2013], mostly because it was Canadian readers who got me to the regional finalists and it shows me that they embraced a book that had a very dark, harrowing and hard theme. I think it gives the opportunity for more clarity for the impact of residential schools on people, not only for the survivors themselves but the inter-generational impact on the children of the survivors. It allows Canadians the opportunity to have an emotional reaction to the story because it’s very direct and deliberately underwritten. It would have been really easy to go over the top and make it even more bleak and harrowing than it is, but my intention wasn’t to shock anybody or to cause anybody anger or anxiety. The novel definitely didn’t feel over the top to me, though the atrocities are sprinkled liberally throughout. I guess what I’m feeling right now is that I should feel more “anger and anxiety.” What does it say about me, about our societal callousness, that stories such as this, even though fictional, do not stir us in a much deeper way? I suspect this novel will do exceedingly well in the Canada Reads debates, both official and among the nation’s readers, because the topic is just so darned “politically correct”, especially with all of the recent “Idle No More” protests and rallies. I’m guessing that a collective “white guilt” will soften any criticism as to whether the book actually excels as a novel, a story. 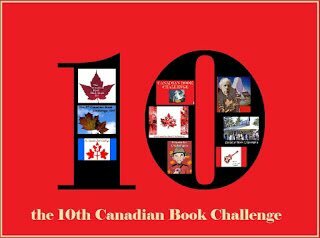 It’s definitely engaging, and thought-provoking, and representative of an important Canadian issue, though I am not convinced it is better than the other four Canada Reads 2013 choices in being chosen as the book all Canadians should read. I’ll have more to say on that once I finish reading the five picks. I’m halfway through book number three. Not done with discussing this one quite yet! You have some very interesting thoughts on this book, many of which I share with you. My self, and other readers out there also found Saul’s hockey abilities a little hard to believe. For me this book isn’t a book about residential schools as I found the focus of hockey completely overshadowed it. I enjoyed the book in the beginning, but the hockey descriptions just left me bored. Great review, looking forward to seeing your thoughts on the other books. Living in UK I know little of the history referred to here nor of the current issues you describe – though there are clear parallels with much of the UK’s past and of course coming to terms with that. The book itself sounds intriguing – I’m guessing it will be hard to find in the UK but I think I might look out for it and give it a go if I find it! I did a bit of research on Richard Wagamese, and he has quite a few earlier books, all on the theme of native (ie. First Nations/”Indian”) identity. He’s an accomplished writer, if Indian Horse is indicative of his general style, and one whom I’ll be watching for in future. I’d like to read more by him. So in this aspect the Canada Reads nomination is a success – I’d never heard of this writer before. 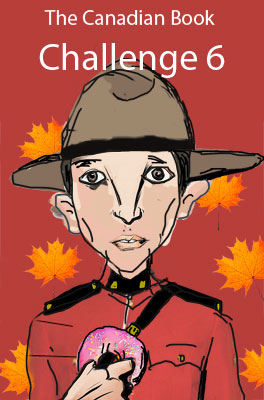 I’ve only read Wagamese’s Dream Wheels, which is focused on rodeo. I must admit that the hockey theme of this one has also put me off a bit… though I will most likely read it eventually once it is available again at the library. Definitely worth reading. The hockey element was easier to cope with than I’d feared – there was a lot of other stuff going on in this one, so much that I’d not really call it a hockey novel. It’s really about racism, if one pares it down to the major cause of all of our protagonist Saul’s challenges. “White” and “Indian” worlds colliding, and the societal tragedies thus played out.